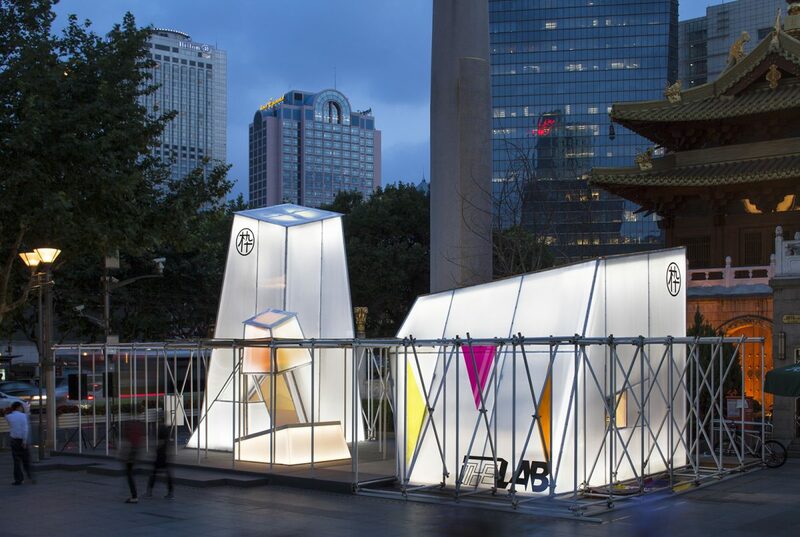 The current Cloud Pavilion is a reinvention of a temporary version originally built in 2013 as part of the Shanghai West Bund Biennial for Architecture and Contemporary Art. While broadly maintaining the form, structure and concept of the original, the new pavilion is a permanent structure which succeeds both as sculptural object and practical event space. 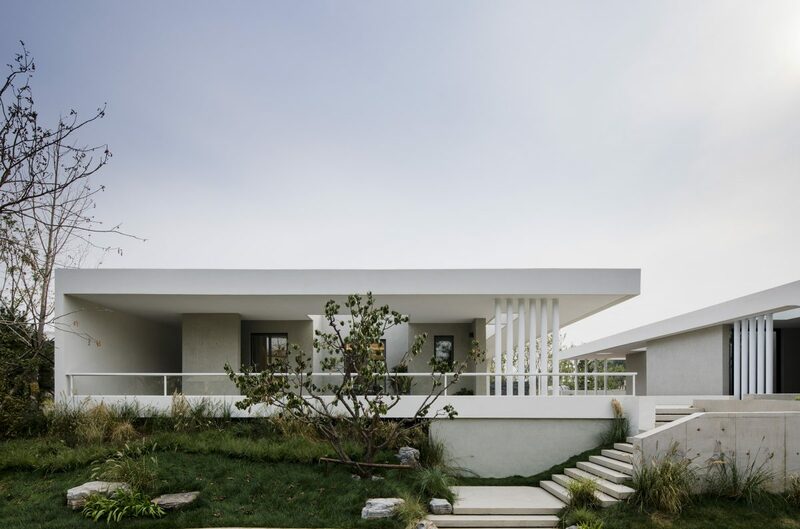 The pavilion consists two horizontal rectangular slabs, forming the floor and ceiling, separated by a grid of thin vertical metal rods which surround an inner cloud-shaped space defined by a wall of curved glass. Within the cloud chamber a single column clad in wood contains a second interior space and access to the pavilion’s lighting controls etc. 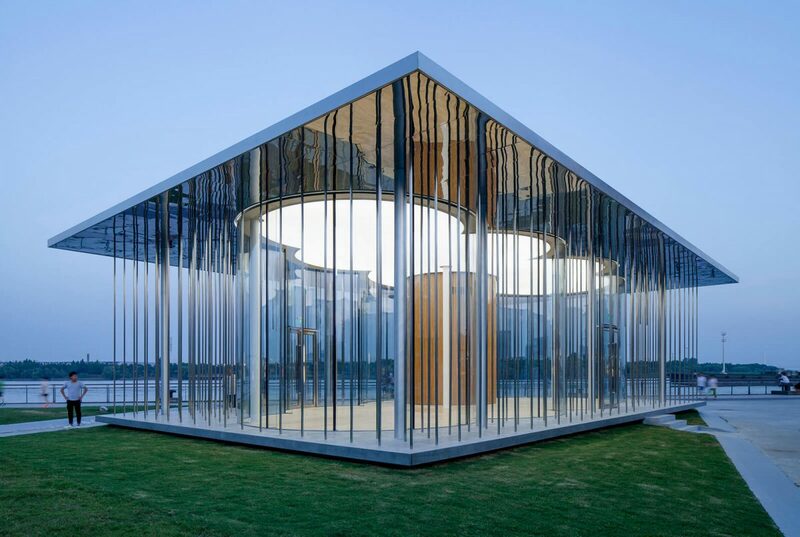 The entire ceiling within the glass wall is white and, but for a narrow strip around the edge, can be lit from behind filling the space with an even, diffuse light, and illuminating the pavilion as part of the night scenery along the river’s edge. Occupying a former industrial site, symbolised by cranes preserved on the riverside, and now hosting a variety of activity spaces – a landscaped section of former railway line, skatepark, basketball courts, bouldering wall – the surrounding West Bund area is being thoroughly redeveloped with contributions from numerous Chinese and international architects.